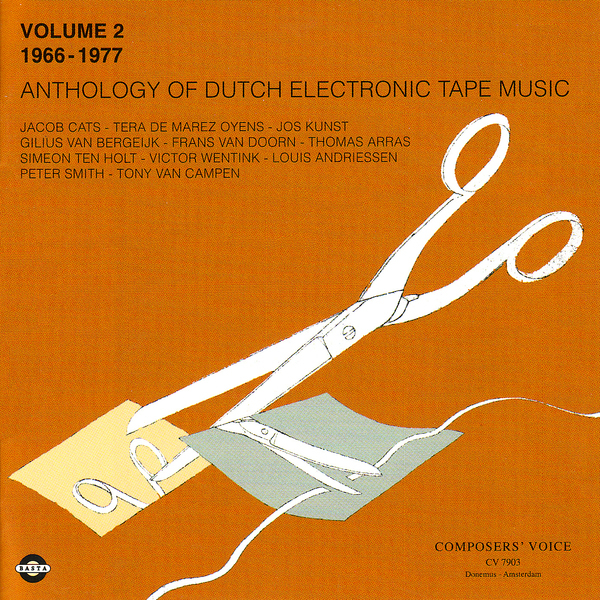 This second Anthology Of Dutch Tape Music documents a period in which the electroacoustic practices of tape music would have been in a state of maturity, spanning 1966 to 1977. You can hear pieces like Victor Wentik's 'Discours' (1975) starting to really push the envelope, embracing harsher more purely electronic sonorities that bear little hallmark of whatever their organic origins might have been. All this is perhaps indicative of how tape music was being met with influence from the burgeoning art of computer composition and pure synthesis. The form certainly didn't suffer during this era however, and long-form works like Tony Van Campen's 'Sintering' hark back to the heavily edited complexities of the earliest innovations within the genre. Another superb document from the reliably revelatory Basta imprint.